Nordstrom Anniversary Sale: the best pieces to save and splurge on this year! 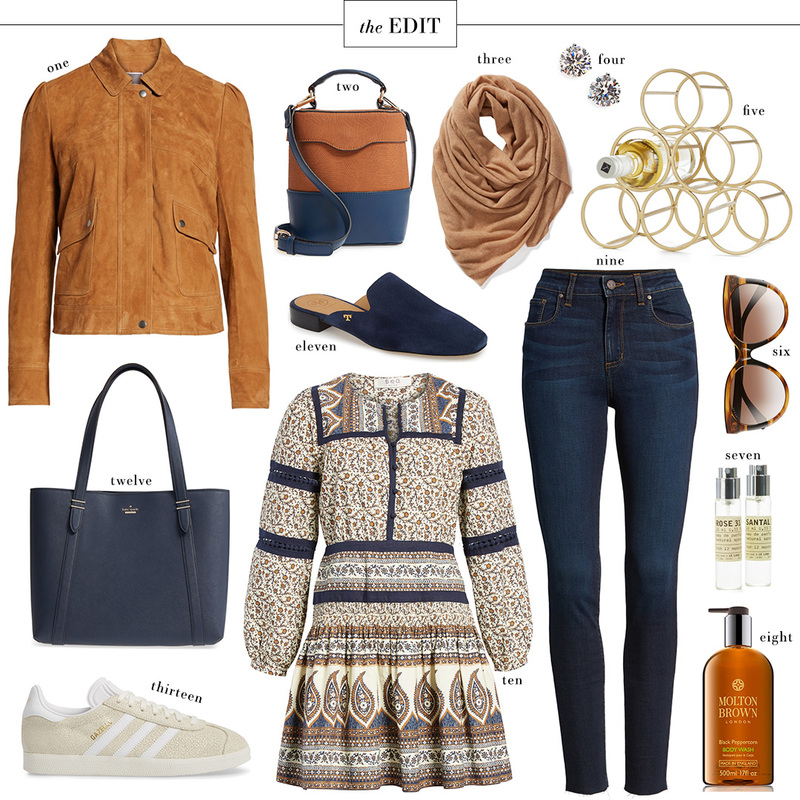 Just a heads up, but every EDIT, Under $100 roundup or other collages I create until August 5th will likely be featuring items from the Nordstrom Anniversary Sale… sorry, not sorry! There are actually so many pieces to love in this year’s sale. Sometimes it’s hit or miss, but I found way more this year than I did last year! And I still haven’t even been able to try on my online order… so stay tuned for that! In the meantime, here’s a great Anniversary Sale roundup featuring a gorgeous fall color scheme of navy and cognac. I definitely ordered this dress and this jacket, so hopefully those are just as cute (or cuter!) in person as they are online! Both seem like they’d be super useful for day or nighttime wear, don’t you think? What have you guys found from the sale that you love so far?! Love this roundup! I cannot wait for Autumn. The suede jacket looks fantastic. That is one item that I still need to add to my wardrobe – preferably faux suede though! I think it’s such a practical item to have in one’s wardrobe because they are so easy to throw over a simple outfit for a little more warmth, not to mention they look super cute as well. Do you know if this one comes in a more gray shade as well? That being said, I love how all the items in this edit are perfectly corresponded to work well together and all the tones match well.